In 1984, Grammy awards were not telecast live in India. So, my friends and I had to wait for a whole week to watch Michael Jackson receive that record 8 Grammys in one awards-ceremony. A week earlier, we had seen the TV episode, of Grammy Nominations. 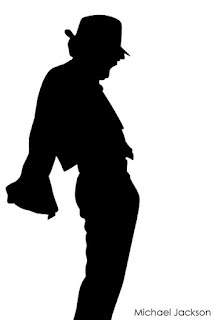 And I was mesmerized by video-clips of Billie Jean, Thriller, and Beat it. And, like my friends, was desperate to watch the videos again. India had only one TV channel at that time - Doordarshan. MTV had not arrived yet. And music videos were completely new and special for us. They had a wonderfully weird and magically magnetic effect on all of us, fresh out of high-school. We Oooh-ed and Aaaah-ed listening to those albums and discussing them. Some well-to-do friends had had stereos and audio tapes of latest music. Some even had VCRs and VHS tapes. But getting foreign music video tapes was extremely difficult. Knowledgeable friends - with access to foreign magazines – updated us on the US-Europe music scene. We listened to, and talked of Police and Eurhythmics. Of Stevie Wonder and Irene Cara. Of Tina Turner and Culture Club. Of Duran Duran and BB King. Many of these were, actually, among Grammy nominations that year. In 1984. But Michael Jackson was our topic number one. I now wonder how he won those Grammys pitted against the best in the industry. A few months earlier, a knowledgeable fan - who showed off a large poster of Michael Jackson with Diana Ross in his room - announced that MJ was hurt in a fire accident while shooting an Ad for Pepsi. (By the way, India had not seen Pepsi or Coke then, except as pictures in foreign magazines and tabloids. Thanks to then regulated economy). I now hear that Michael Jackson donated all the money received as damages from that Pepsi-fiasco to the hospital that treated him. Anyway, when we finally got to watch the Awards ceremony, we did it with goose-bumpy excitement. We gaped at his effortless moon-walking on a kaleidoscopic dance floor, at his glittering hand of sequined glove, at his swaying of hand-and-hat to that staccato beat, at his robotic movement of fascinating jerks. We were tantalized beyond senses. The video tape ‘The making of Thriller’ soon became a big hit among friends, and we must have watched the tape again and again to the point of complete erosion. Needless to say, we soon liked his collaboration with Lionel Richie for the song ‘We are the world’, during the Africa-Aid times. We admired his part in raising money for Africa. We liked his songs with Paul McCartney – especially ‘Ebony and Ivory’ and ‘The girl is mine’. And we are still captivated by the powerful meaning of ‘Heal the world’! His solo albums – apart from Thriller(1982) – Off the Wall (1979), Bad (1987), Dangerous (1991) and HIStory (1995), sold by the million. Thanks to MJ-crazy fans like us. His recent erratic behavior and child abuse allegations notwithstanding, he will remain unmatched as an extremely talented musician, a vibrant stage entertainer, and a unique dance artist. His popularity is evident from the fact that - even in the face of new music of newer generation - almost all the tickets of his series of 50 concerts titled ‘This Is It’, scheduled to begin in London on July 13, 2009 were sold out, before this untimely death. Little wonder, therefore, that - after 13 Grammy Awards, 13 number one singles in his solo career, and the sale of 800 million records worldwide - Guinness Book of World Records chose to call him the "Most Successful Entertainer of All Time"!